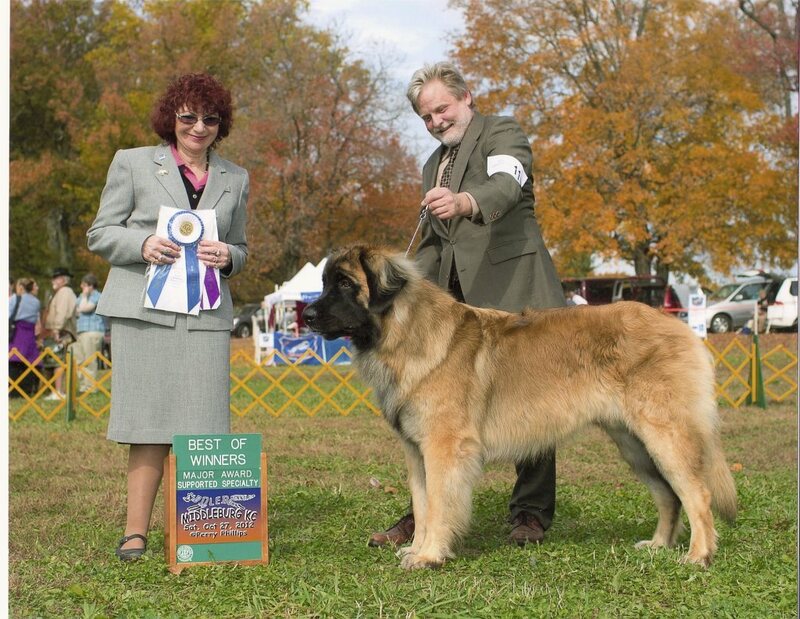 Micah, owned by Ben and Sarah Horrocks, is a wonderful example of the breeding between Boudica and Huck. 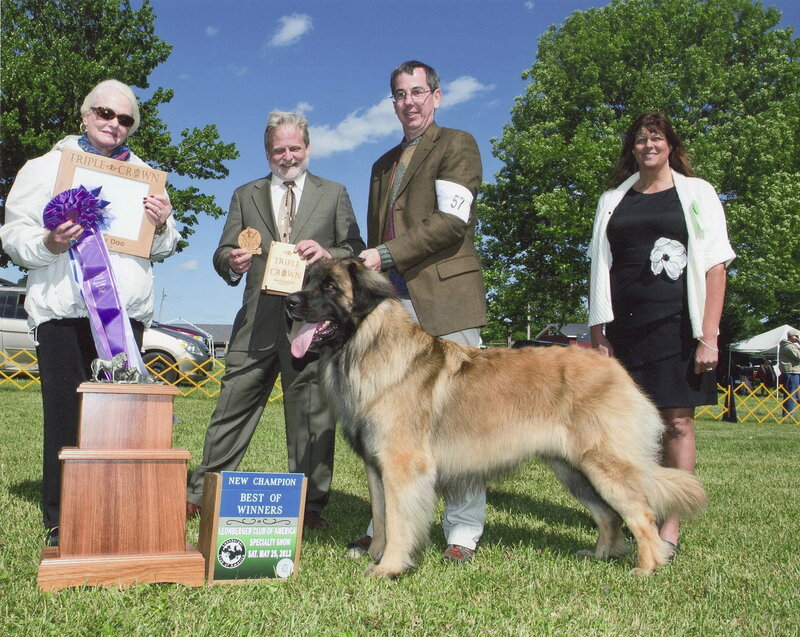 He finished his championship at a huge show in Pennsylvania where he took a five point major for Best of Winners. He finished his Grand Championship with a four point Select. Micah is a wild child with LOTS of vim and vigor and approaches life at full speed! 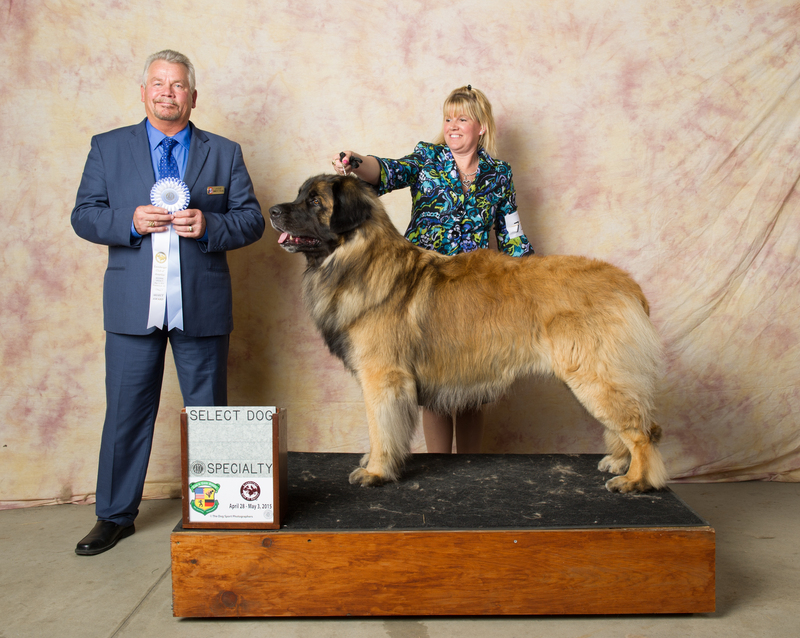 We were confident that he would do well after a great showing as a young pup at the Leonberger Club of America National Speciality where he tore up the show ring in Puppy Sweeps. 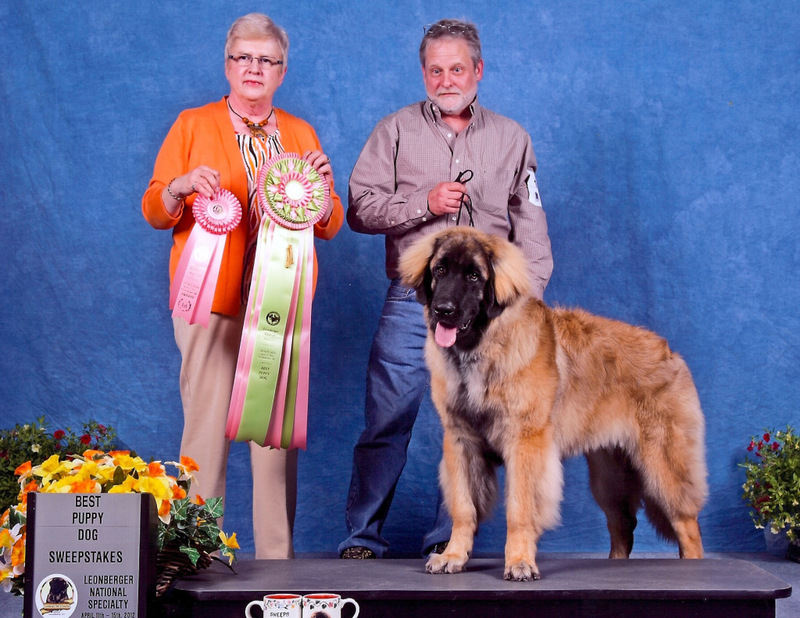 We are very proud of Micah’s show wins, but just as importantly, we are very proud of the job he is doing every day, being a fantastic companion for his family. To see Micah’s medical clearances, click here.